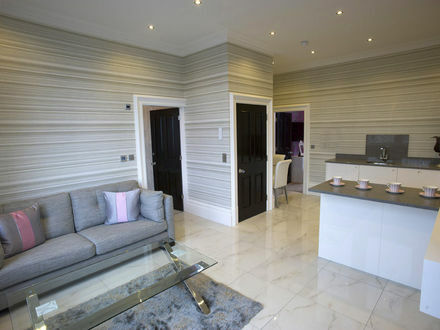 This ornate open plan living space is steeped in luxury and is the epitome of opulent indulgence. 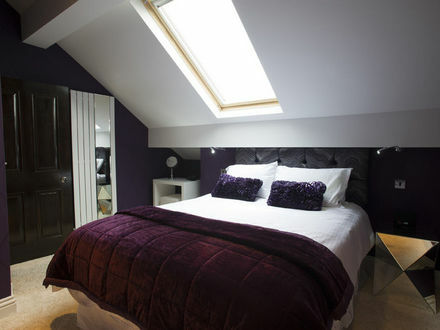 In a palette of slate grey, with accents of plum, and a feature wall of stunning Mica wrapped round the chimney breast. 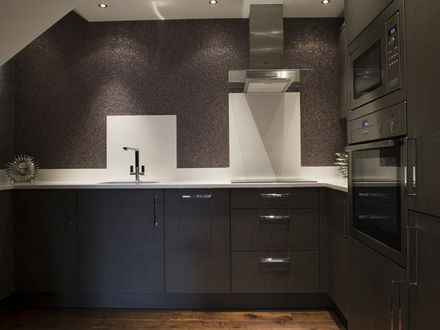 The kitchen is a vision of clean lines and subtlety; all granite surfaces, with ceramic hob, and integrated appliances which include a dishwasher, fridge, freezer and washing machine. 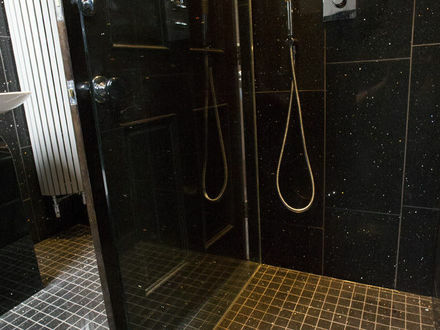 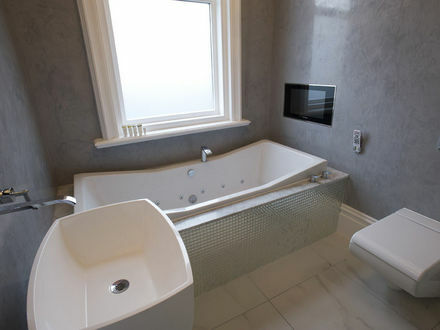 The bathroom is a revelation in minimalist luxury, with a 24 jet 2 person spa bath, free standing ‘jazz’ architectural sink, and wet room with rain shower. 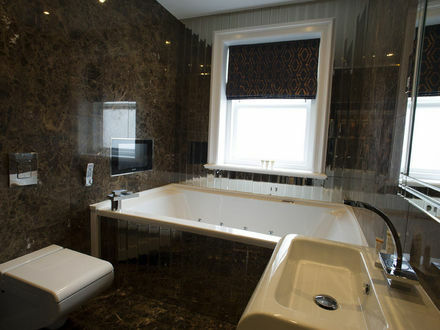 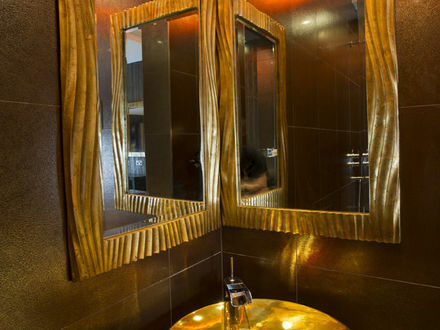 Finished in a gold, copper and brown design with a free standing copper bath and wall mounted tap at the foot of our kingsize bed. 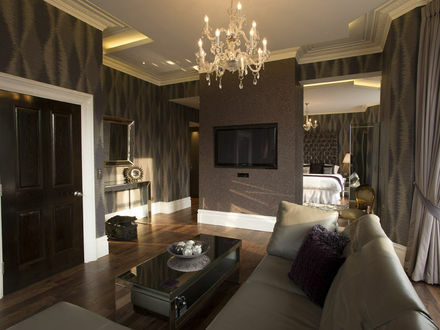 The wallpaper is enough to blow your mind and the high gloss wenge flooring is totally unique, all of this before the master bedroom and en suite. 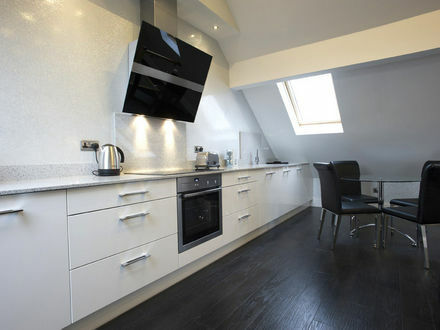 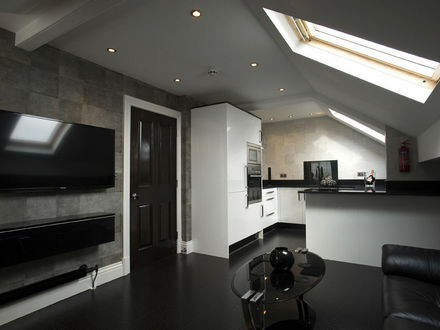 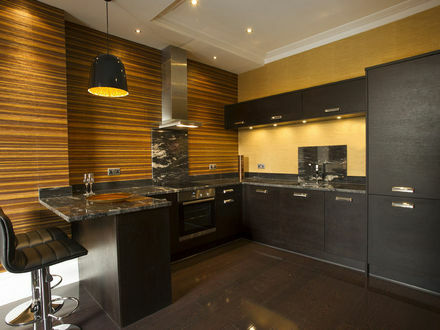 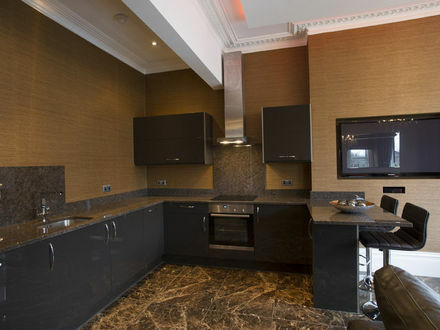 The dark gloss wood designer kitchen compliments the feel of this amazing apartment. 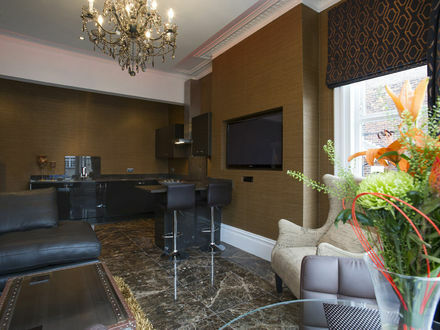 Pure luxury and we make no apology for the unbelievable design involved in The Lockwood Suite, our top billed apartment has the wow factor and so much more. 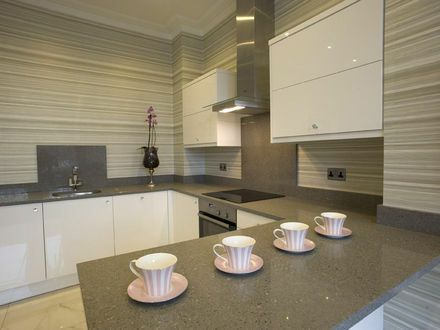 The stunning kitchen with cosmic granite worktops and gorgeous views out to the market town of Poulton-le-Fylde give this apartment something extra. 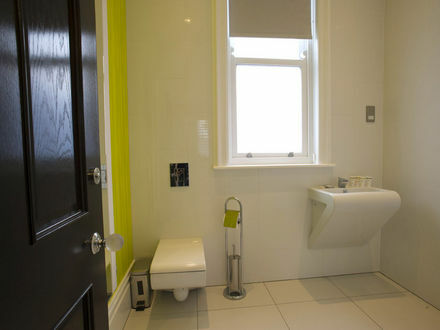 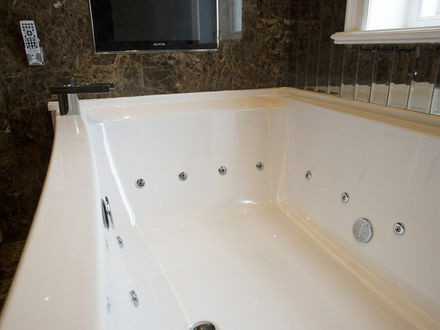 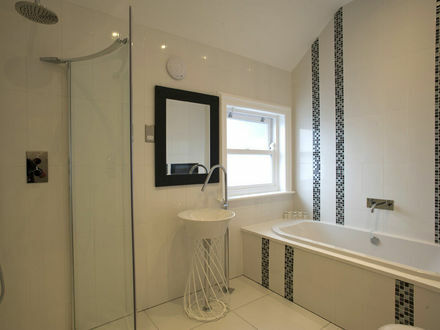 Also on offer is one of the most fabulous open plan bathrooms Breck has to offer. 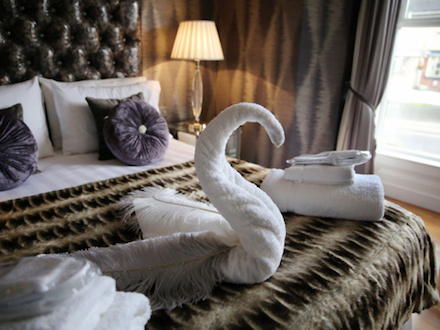 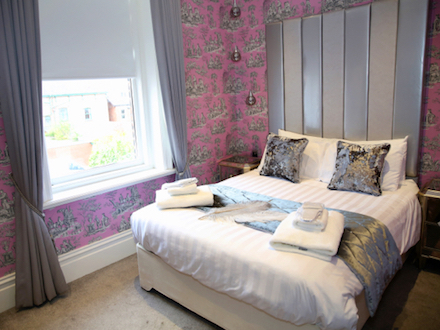 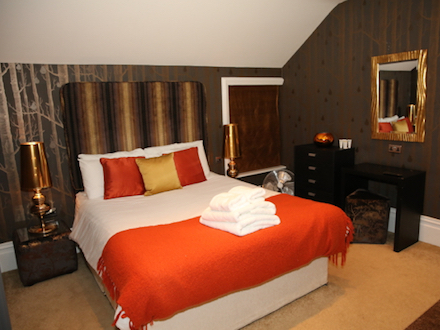 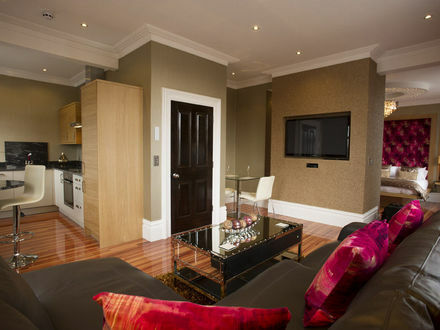 For a special break or weekend getaway there really isn’t better than the Lockwood Suite. 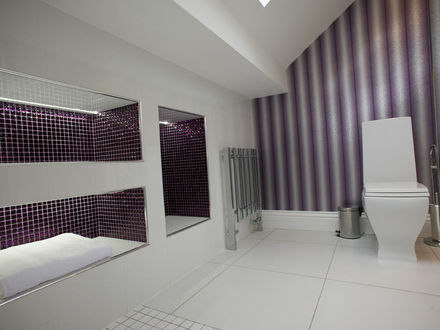 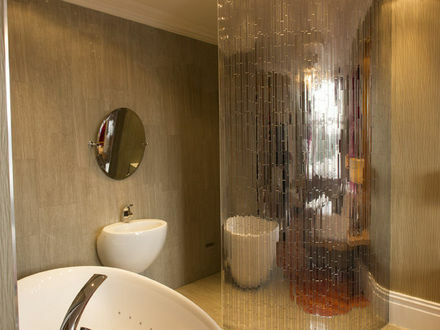 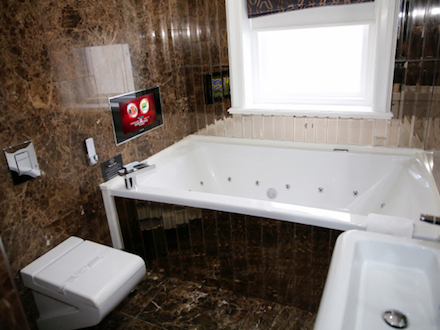 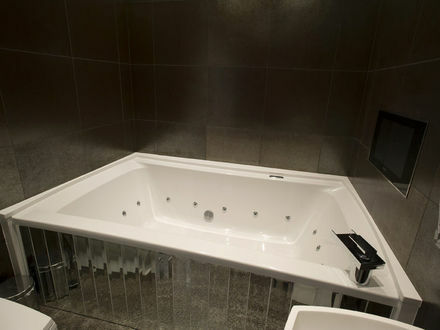 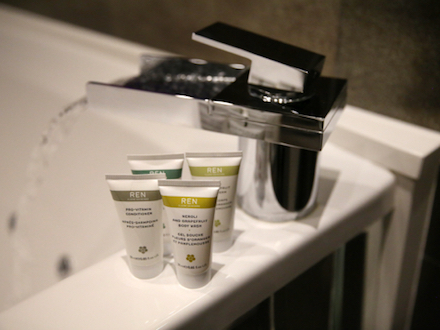 The unique chrome tiled radius wall and free standing luxury spa bath will leave guests speechless. 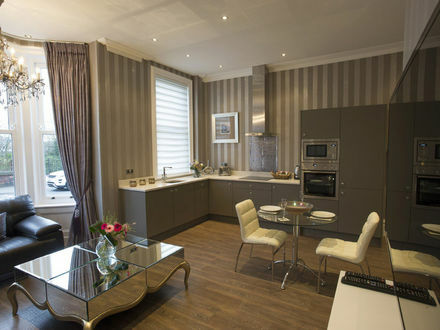 The open plan feel and decor in this Superior Luxury Apartment flows perfectly and will ensure your stay is one that will not be forgotten. 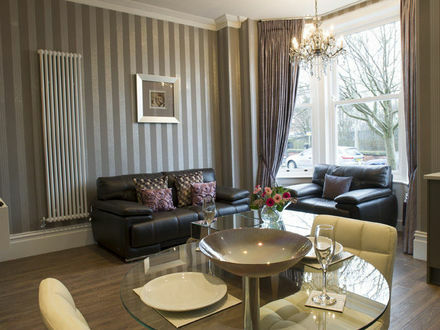 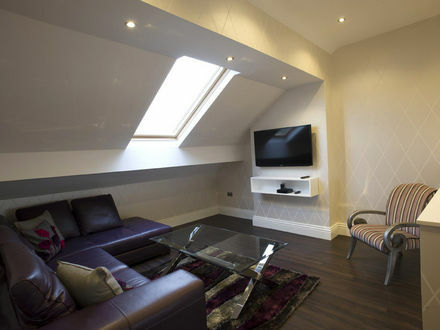 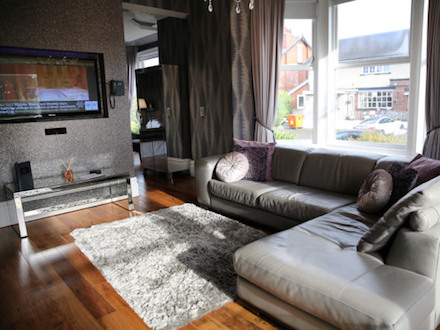 Guests can relax on the black leather corner sofa in our open plan living room and watch the 46 inch plasma TV. 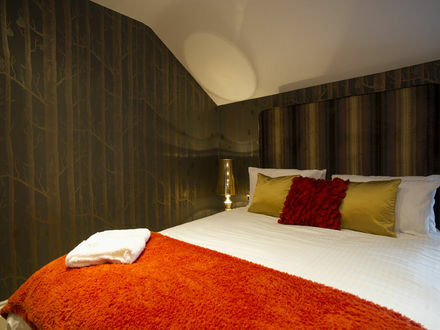 Designer animal print wallpaper and a super king-size bed with a remote pop up TV. 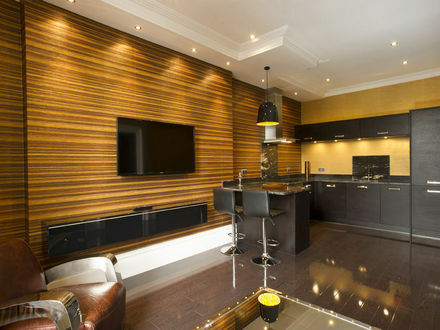 If you have never seen leather floor before then this is an experience not to be missed! 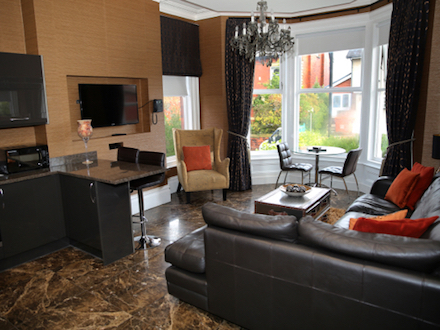 An imposing chimney breast with textured illusion wallpaper throughout gives an ambience of home from home indulgence in this luxury open plan suite; a warm palette of chocolate and orange, and accents of hessian and gold reinforce incredible design features throughout. 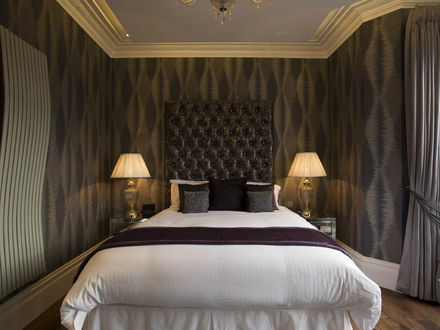 A dark chocolate heated marble floor throughout instils a sense of deep seated, sumptuous luxury, whilst the gold extended chesterfield headboard is accentuated with silk and satin accessories. 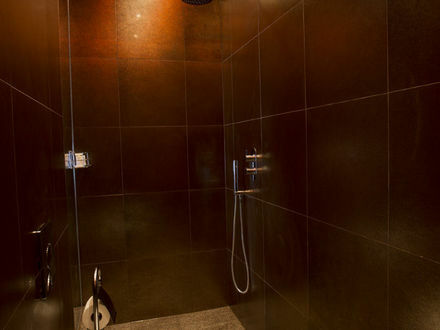 The oversized wet room with rain shower is encased in mosaic tile, and the 2 person 24 jet spa bath is perfect for sharing a glass of vintage champagne on a lazy Sunday in unadulterated, divine luxury. 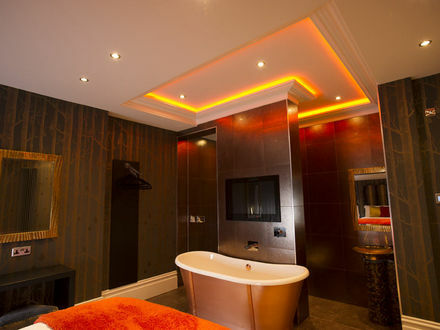 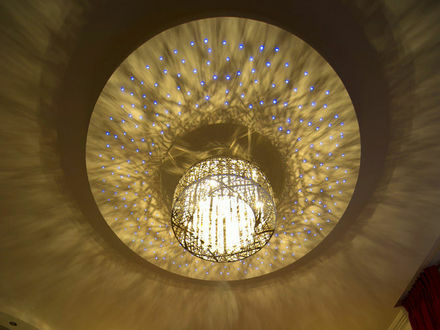 From huge 4ft chandeliers in our luxurious bathroom complete with 2 person spa bath to designer radiators and 50 inch plasma TV’s in the lounge, you will fall in love with the unique theme. 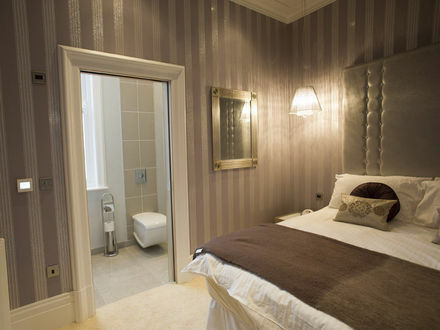 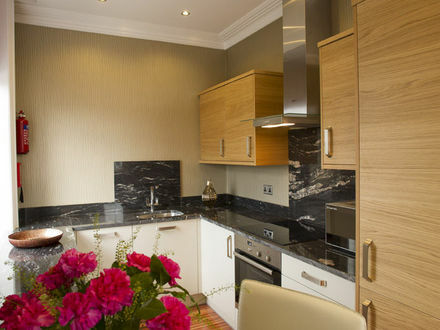 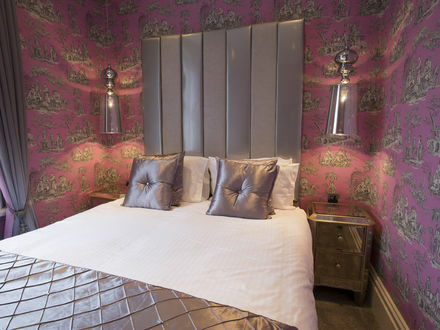 The designer kitchen with crystal handles and white granite worktops is superb in every way and an outrageous pink wallpaper in our divine master bedroom is sure to wow guests. 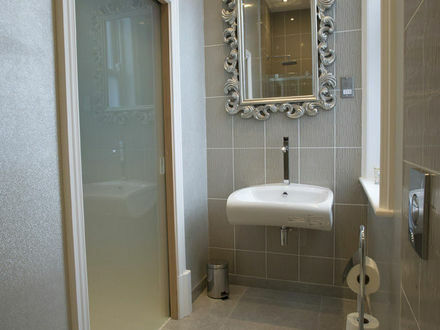 Under floor heating on polished limestone tiles, adding a luxurious feel throughout and the famous polished plaster in the truly outstanding bathroom are just a couple of this apartments unique features. 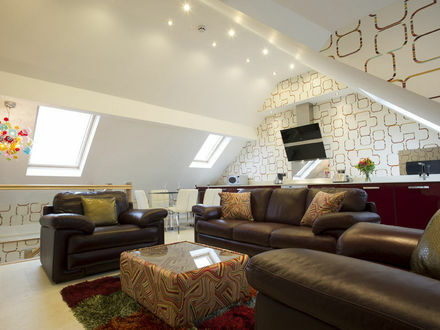 Get away from it all in The Elletson Suite, up in the heights of Breck this designer apartment will seduce all its guests. 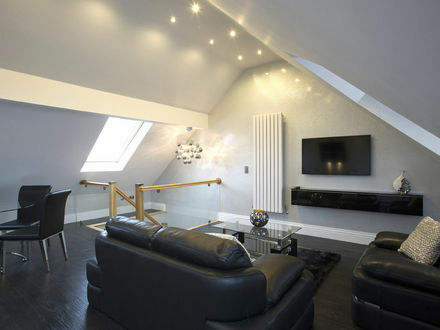 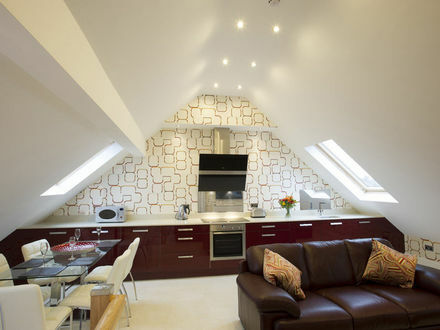 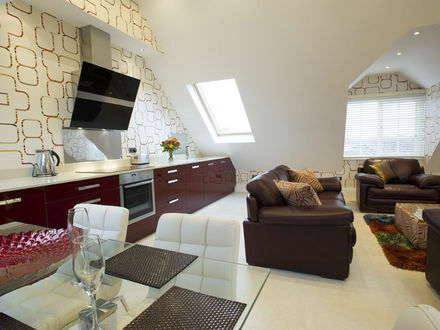 With sloping roof space and oversized skylights that let the stars in this stunning apartment. 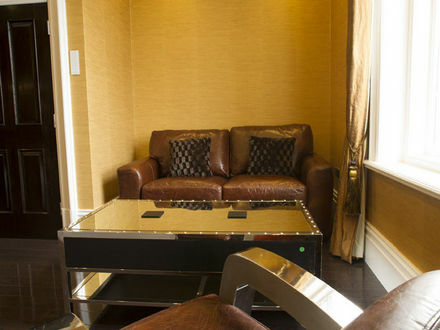 A sumptuous lounge and open plan kitchen area with a designer leather sofa finished in purple providing comfort to view the 51 inch plasma TV. 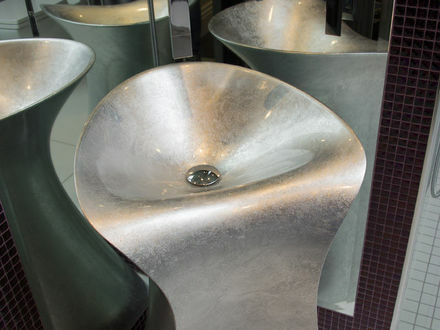 Relax and have a drink in our stunning window seat and watch the world go by, and just wait to see the bathroom…our freestanding Silver designer “Miss” sink by Art Ceram will blow your mind. 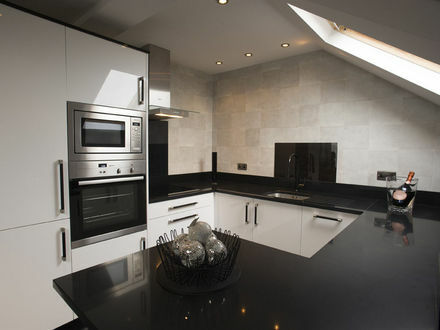 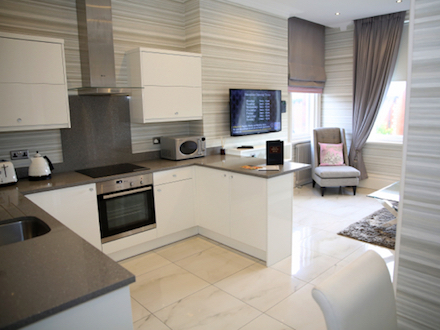 Our bespoke designer kitchen with crystal handles provides the luxury feeling everyone will love. 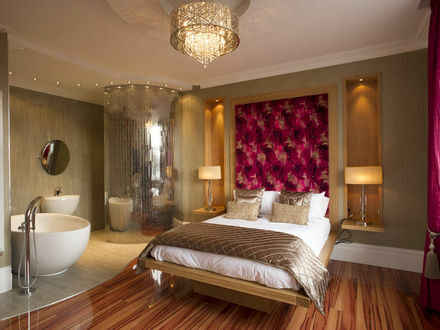 Crystal studded oversized headboard creates a beautiful statement in the bedroom with a glass sliding door that is the pathway to a lovely modern shower. 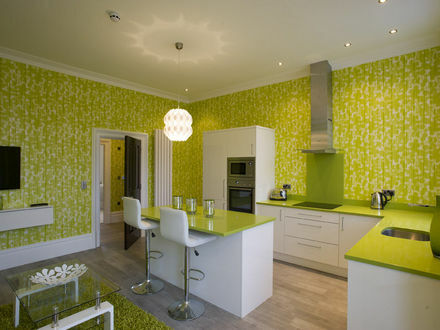 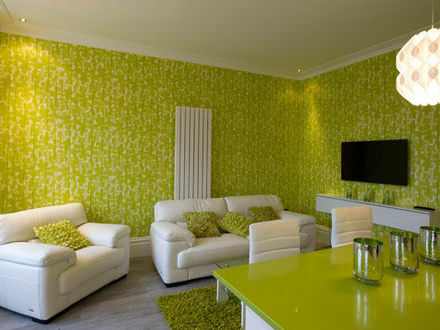 Illusion graphic wallpaper surrounds the walls of the open plan living space, featuring granite island breakfast bar and, apple green accents throughout the vast open space, bathed in natural light from the traditional bay window. 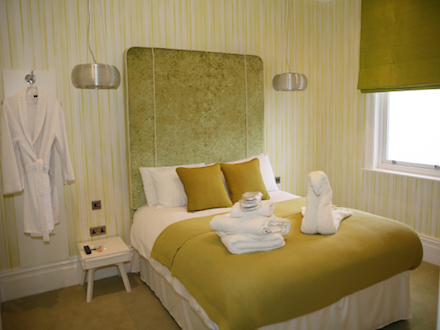 The bedroom contains a statement oversized green velvet headboard, and a cool, fresh colour scheme of muted pastels and a luxury cashmere throw. 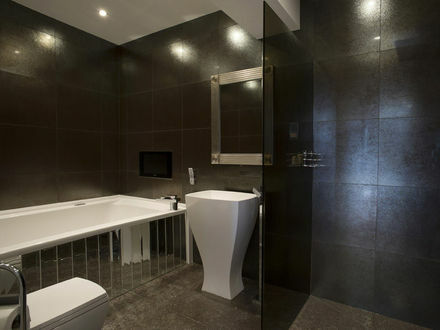 A vision of white and clean lines welcomes the bathroom, a large wet room with chrome accents and signature style wall mounted sink. 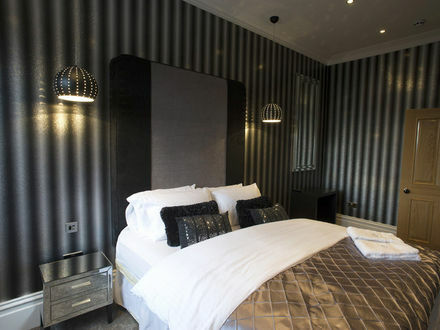 The first of our duplex apartments, this apartment is a vision of black and silver, accessorised with crystal tones, and mirrored paper throughout; creating an atmosphere of luxury and indulgence. 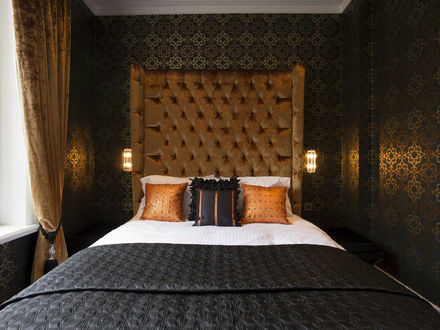 Bedroom one has a walk-in wardrobe and crystal lights bordering the Egyptian linen draped king sized bed, with an oversized sumptuous black velvet head board. 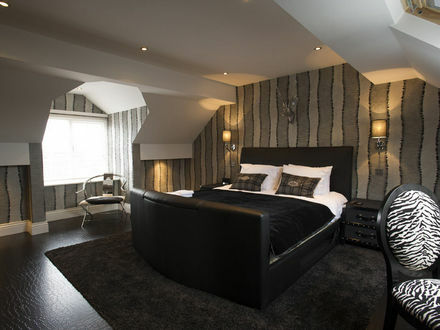 Bedroom two is enveloped in silver and crystal decked walls with black and grey feature headboard. 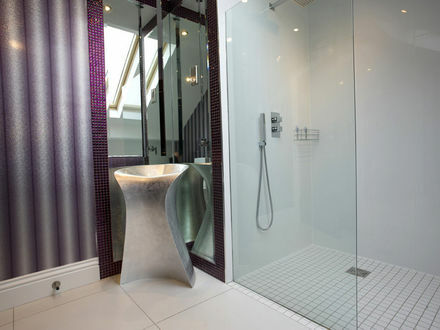 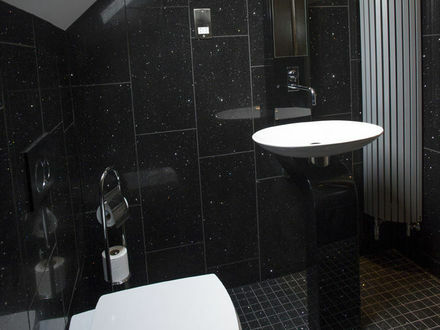 The bathroom contains a 24 jet spa bath and oversized waterfall shower, free standing ‘twist’ sink and sparkling white tiling accented with black and chrome. 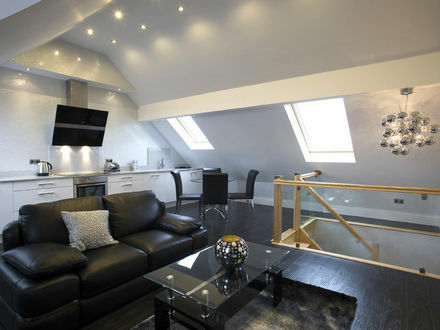 The open plan living space contains infinity work tops spanning the length of the loft space, black leather with silver and chrome accents reflect the natural light that drapes the beautiful open plan space. 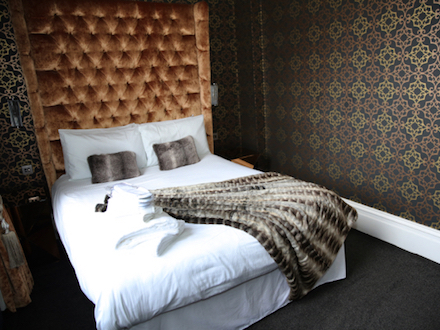 The Fylde Suite is quirky, unique and has a very distinct personality. 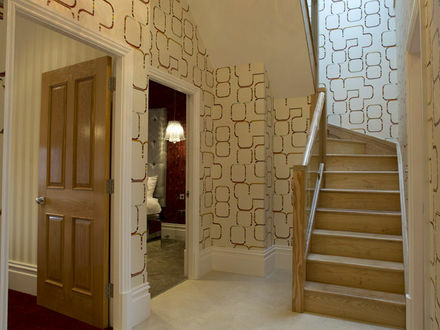 Decked in multi tone prints, the walls are a rainbow of colour and graphic design. 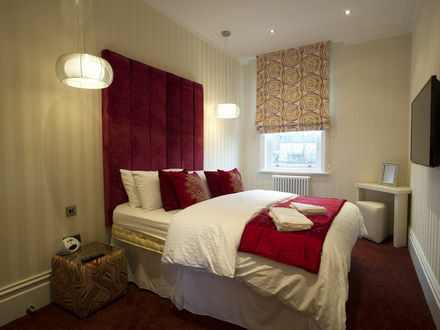 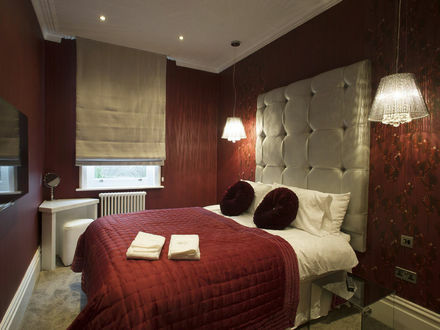 Bedroom one is draped in deep red with a statement silver headboard, walk in wardrobe, crystal and chrome bedside lamps. 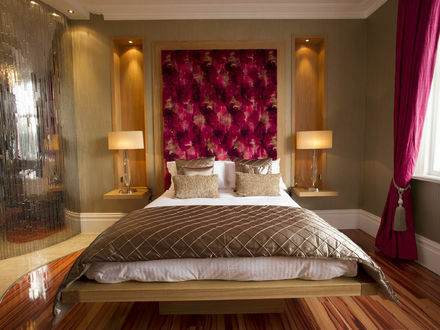 Bedroom two is a vision in deep red, the king size bed is accentuated with a statement raspberry velvet headboard, walk in wardrobe, and side table leather cubes. 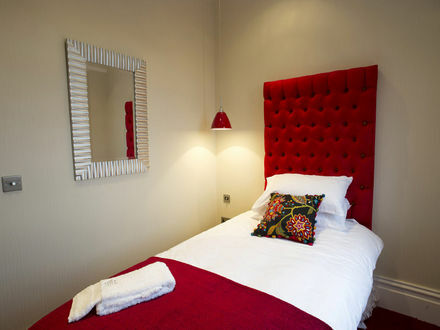 Bedroom three is a beautiful single, with an oversized letter box red upholstered headboard, and multi-tonal accessories. 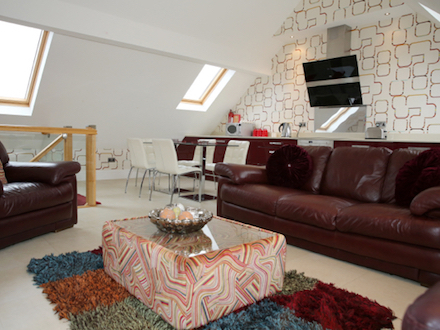 The upstairs living area contains a vibrant colour pop chandelier, deep red cube print and burgundy leather sofas. 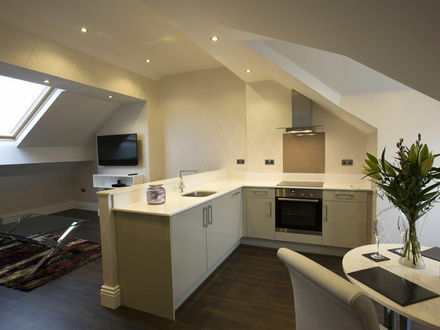 The room length work surfaces reflect the natural light pouring through the Velux window in the roof to create a light, bright luxurious feel of modern living with amazing views over the historic market town of Poulton. 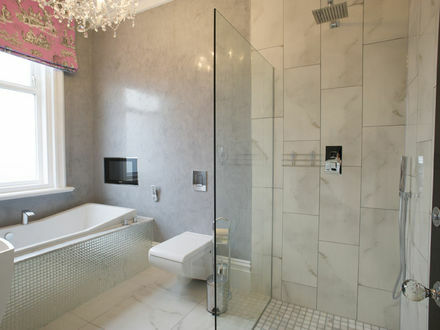 The bathroom completes this duplex with whitewashed marble floor, waterfall shower, and mosaic tile, giving a clean fresh ambience.